You can go to work, watch television, or do your gardening while having your small intestine photographed! Capsule endoscopy employs a video capsule that is swallowed and takes photographs of the small intestine. The procedure is useful when disease is suspected in the small intestine and can sometimes diagnose sources of bleeding visible microscopically only or causes of abdominal pain such as Crohn’s disease, or peptic ulcers. Capsule endoscopy can be used to diagnose problems in the small intestine, but unlike EGD or colonoscopy, cannot treat pathology that may be discovered. Capsule endoscopy can use bluetooth to transfer the captured images to a computer! This marvel of modern technology is the best means of viewing the inside of the small intestine but the capsule does not allow for therapy. Other limitations include the inability to detect abnormalities and blurred, uninterpretable photographs in some cases. At times, transit is so slow that the capsule examines only part of the small intestine before the battery fails. This system features crystal-clear image quality, analog and digital outputs, 220 V or 110 V power rating for international usage, and the ability to send, share, and edit images on most digital devices. This is the longest-lasting, toughest, most rugged camera on the market. The 1188 HD offers superior picture quality, enhanced clarity, and more intuitive user controls. Surgical teams will experience unprecedented visibility during endoscopic procedures — visibility that can elevate overall surgical and patient outcomes. Specifications for this system are: imaging system: 1/3” interline transfer, EX view HAD CCD 752 (H) x 582 (V) pixels. Cameral control unit dimensions: 9.8” / 24.8 cm x 4.0” / 10.1 cm (h) x 15” / 38.1 cm (d). Enhancement: Switchable to 8 steps. Cable connector: super lemo gold pin connectors. Resolution: 950 lines. Visit our web site at: www.ganimonline.com. Call us toll free at 800-522-5909. Did you know that development of the first commercial electrosurgical device is credited to Dr. William T. Bovie, who worked on it from 1914 to 1927 at Harvard University? The first use of an electrosurgical generator in operating room occurred on October 1, 1926 in a surgery performed by Dr. Harvey Cushing. The low-powered hyfrecator, manufactured by the Birtcher Corporation of Los Angeles, for electrosurgery performed on conscious patients in an office setting was in 1940. The word Hyfrecator® is a brand name derived from “high-frequency eradicator.” However, a number of manufacturers now produce Hyfrecators and the term, with a lower-case “h,” has since come to be used generically to refer to any dedicated non-ground-return electrosurgical apparatus. At Ganim Medical, we offer pre-owned and refurbished medical equipment that permits healthcare facilities to use the latest technology for patient treatment, without breaking the bank. Refurbished medical equipment can be the answer to your needs, instead of making large capital investments in new devices that can become quickly outdated. Our electrosurgical units come refurbished, rebuilt, and repainted, and include a standard 90-day warranty. 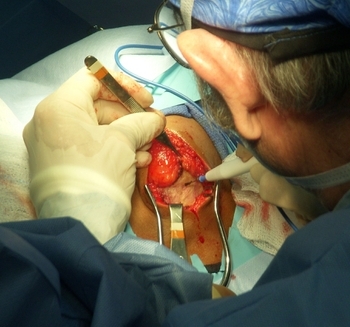 This device features the powerful isolated ESU available, allowing the Surgeon to adjust power settings from the surgical field with a standard ES pencil. The Excalibur Plus PC-patented controlled output voltage in CUT maintains minimum necessary voltage for smooth cutting through various impedance tissues with minimal thermal damage. This electrosurgical generator includes cut, coag, bipolar and blend. Features include a memory to store up to three power settings. The remote-control, hand- switching pencil can change power settings while maintaining the sterile field and decreasing procedure time. The dual microprocessors permit (1) controlling the function and output of the hyfrecator, (2) termination activation if a hazard or safety issue is detected. This device is a cost-effective alternative to various laser procedures. This high-power electrosurgical unit has a monopolar foot pedal. The unit is designed to accommodate the needs of all surgical procedures. It features independent monopolar outputs, enhanced bipolar performance, and can be programmed for standardization. It also combines automatic feedback circuitry and visual displays to provide the most sensitive contact quality monitoring system available today. The ValleyLab Force 2 electrosurgical generator provides cutting and coagulation in monopolar or bipolar outputs. The unit offers high-performance capabilities in a multipurpose generator, while featuring flexibility through varying degrees of homeostasis. The operator can choose one of three preset modes: simultaneous independent coagulation, low-voltage coagulation, and Valleylab REM™ safety, which substantially reduce the risk of patient burns at the return electrode site. For more information on any of these electrosurgical generators, see our web site or call 800-522-5909. According to the Global Futures Foundation, at least 2.1million tons of solid waste generated each year in the United States can be classified as electronic waste, or “e-waste.” That means that discarded electronic equipment, which includes medical devices such as patient monitors, defibrillators, autoclaves, sterilizers, centrifuges, ECG and EKG machines, microscopes, radiology and imaging machines, and much more, is contributing to severe human and environmental health impacts. Most e-waste ends up in landfills, possibly leaking harmful chemicals like mercury, nickel, zinc, and chromium into the groundwater system. We at Ganim Medical realize that refurbished and used medical equipment can provide not only very cost-effective and practical solutions for healthcare facilities, but also help cut down on e-waste. We advocate the basic principles of reduce, recycle, and reuse in our operating principles. Environmental responsibility means engaging in development that meets the needs of the present generation without compromising the ability of future generations to meet their own needs. Achieving sustainability will enable the earth to continue supporting human life as we know it. By electing to purchase refurbished medical equipment, you will not only save money and the environment, you can be sure that we have returned the device to a “same as new state” and have tested the unit to meet all original equipment manufacturer (OEM) specifications. Our technologists have years of experience in the medical technological industry. Call us toll free today at 800-522-5909. We at Ganim Medical are concerned about rapidly rising costs in the healthcare industry. That’s one reason we are involved in refurbishing used medical equipment to sell to hospitals, medical clinics, and surgery centers. Our customers find that they can own top brand equipment, often at 40% to 75% below the cost of buying new. 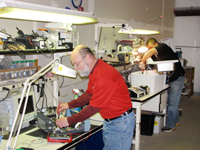 Refurbished equipment provides the same performance level as that of new equipment. Our Biomedical Engineering Technologists (BMET) are highly skilled technicians with years of extensive experience in the medical equipment industry. They take preventive measures to ensure that important medical equipment does not malfunction at critical moments. Besides low cost and quality assurance, Ganim Medical offers an extensive selection of refurbished and pre-owned medical equipment including: anesthesia machines, EKG/ ECG machines, microscopes, stools/ seating, surgical instruments, autoclaves/ sterilizers, electrosurgery, patient monitors, tourniquet systems, carts, endoscopy, radiology/ imaging, surgery lights, ultrasound, defibrillators/ AED, manual/ power exam tables, surgery tables, warming tables, otoscopes/ opthalmoscopes, infusion pumps, and more. 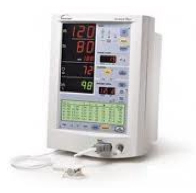 You can view our full selection of pre-owned/refurbished medical equipment on our web site. Call us today at 800-522-5090 to enquire about any of our products or discuss your particular needs. Ganim Medical is pleased to offer the Jackson Spinal Table Top (refurbished) on e-bay at the incredible opening bid of $74,000 – a considerable savings over the cost if purchased new! 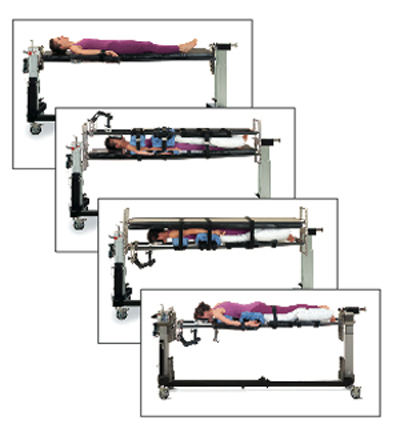 The Jackson Spinal Table Top provides the most advanced technology today for spinal surgery positioning. If you would like more information on this device, please contact Ganim Medical at 800-522-5909. Don’t forget to click here to bid on this item.